Friday, March 9 was a transformational day in our Highway of Heroes Living Tribute Campaign. 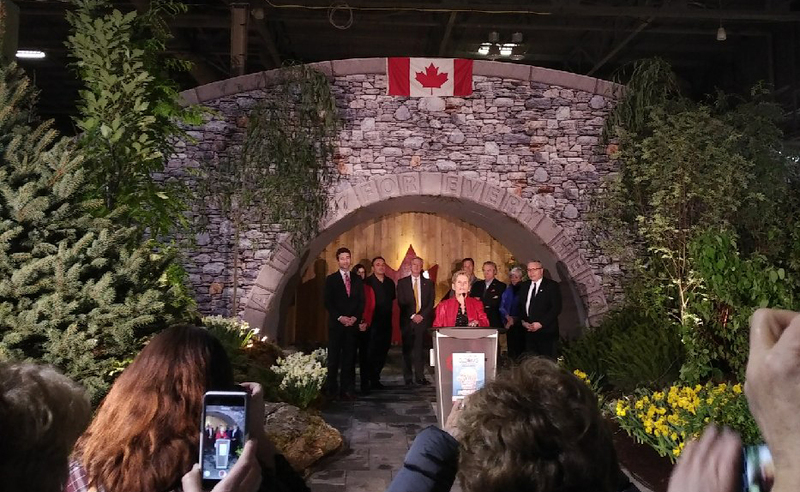 Premier Wynne announced a $1 million donation on behalf of the government of Ontario. This gives us a huge push towards our goal of raising $10 million by 2020. This, in addition to more than $1.7 million raised from private Canadian Sources to date, draws us close to 30% of our goal. The Highway of Heroes Living Tribute team, Cabinet and our honorary patrons, Sharon and David Johnston are delighted and excited by the lift that this announcement gives us.